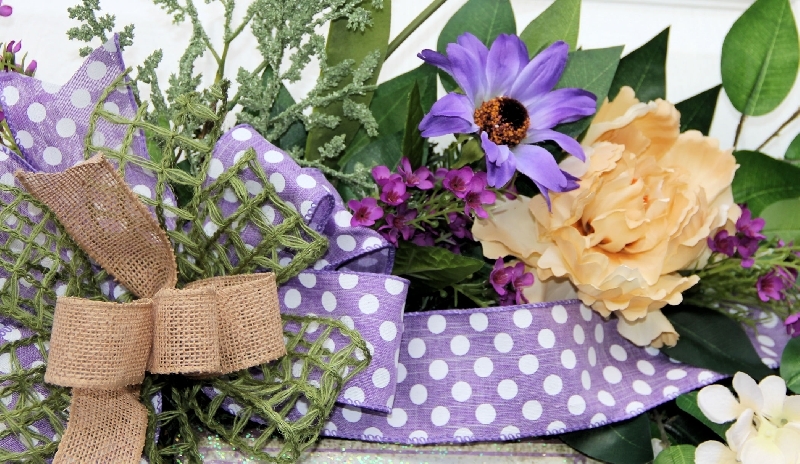 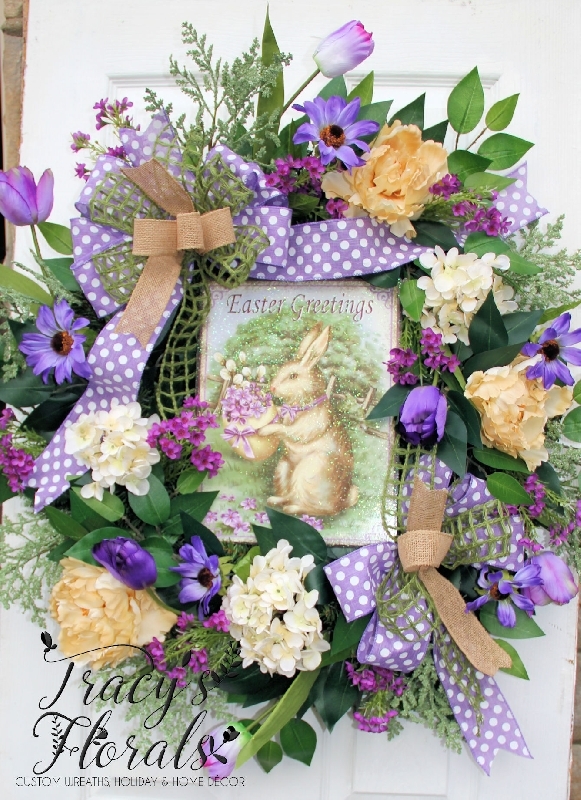 Lovely, classic Easter wreath featuring cream hydrangea, purple tulips, berries, grasses, ficus leaves, purple daisies, mini flowers, burlap/polka dot bows, and more! 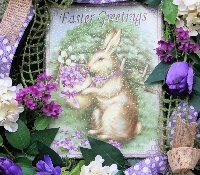 Beautiful 'Easter Greetings' glittered sign in the center. Measures a full 28" in diameter, 6" in depth.